For Fans Of… Durand Jones & The Indications, Mayer Hawthorne, Leon Bridges, Nick Waterhouse, Lee Fields. Limited edition red vinyl (CLMN12025LPC1) is for Indie stores only. 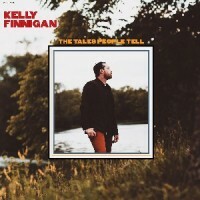 Kelly Finnigan's debut solo album for Colemine Records represents the culmination of his 15 years of experience - in the studio as a songwriter, multi-instrumentalist, engineer, producer - and touring the US and Europe as a singer, musician, and band-leader. The content within reflects his dedication to expression through the rich American music traditions of soul, gospel, doo-wop, and R&B. The subject is love. Its ecstasies and heartaches. Love sought, found, betrayed, lost, and rediscovered. The result is a marvelous collection of songs and performances that run the gamut from whispering tenderness to roaring appeals; from lean and mean to lush and lovely. And always, always, manifestly honest, and undeniably soulful. With Finnigan guiding these songs from their conception all the way to the record pressing plant, the new release provides the singular voice missing from soul music: a visionary that writes, records, performs and produces his own material.